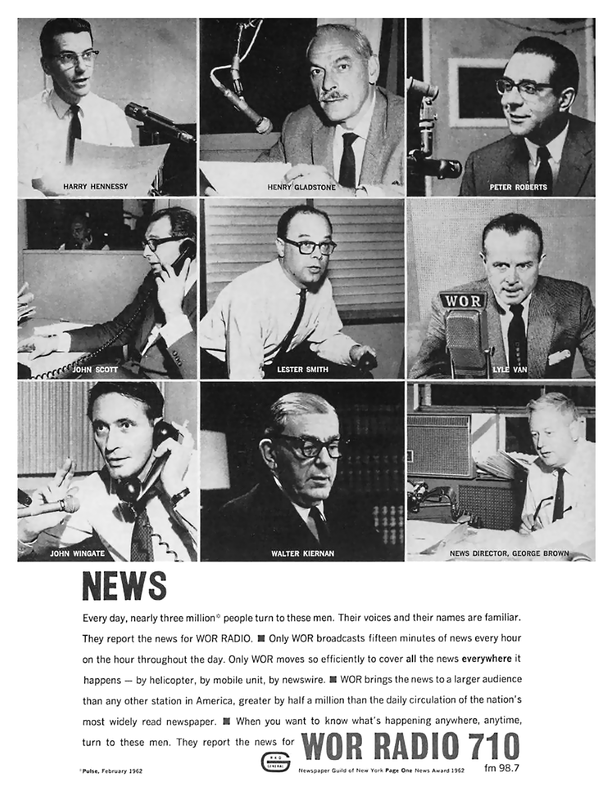 While the emphasis of this ad is news, at this time and well into the 1980’s, WOR was what was known as a "full service" radio station that covered many types of programming including some music. Among many others, it was the long-time home of Jean Shepherd. Today, it is one of the hundreds of stations owned by iHeart that mostly does nothing but churn out political blowhard programming. Posted in 1960s, Media, Radio, Retro/VintageTagged advertising, Americana, announcers, broadcasting, newscastersBookmark the permalink.